I was going to write about dehydrating this week, but I haven’t gotten around to that task yet. Hopefully, my herbs won’t be wilted by the time I get to it! Instead, I’ve found myself mostly tidying up the garden in anticipation of the end of the season. The weather has cooled down considerably, but that doesn’t mean that I’m closing up shop. Au contraire! Like weeding, it’s important to stay on top of cleaning the garden. For the frugal gardener, time is money, after all. A gradual closing down of your green space is more manageable than a scramble at the last minute. Why not leave everything where it is? Wouldn’t that be so much easier? For the moment, probably. But, clearing dead (or almost dead) plants and prepping beds for the winter will make gardening in the new year so much easier. I know it’s incredibly difficult to pull up plants that have produced so much over the summer, but leaving them there may encourage pests and diseases to take up residence. All that debris will also be in your way when warmer weather comes back around next year. It’s also unsightly. Tidying up the garden provides a clean slate and makes it easier to imagine next year’s bounty. Pull up dead plants – Right now, I’ve started pulling up my cucumber plant. It’s no longer producing (I suspect a pest was involved in its demise). The tomato and eggplants are done, too, so I’ll pick the last fruits and gently remove the tall plants and their stakes Removing the stakes is important since once the ground freezes, they’re stuck there. Mulch – I mulch the remaining plants and prep the empty squares for something that will be arriving in the mail quite soon: GARLIC! 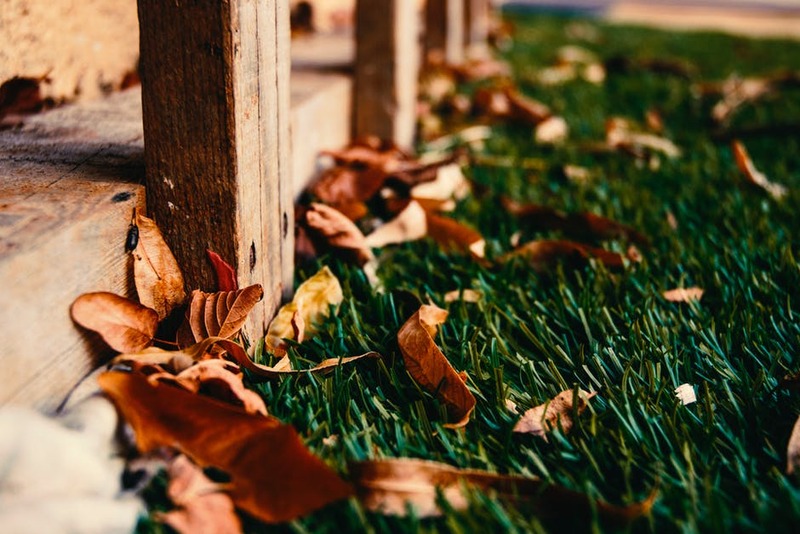 Cover empty beds with leaves – Squares that will remain empty until the spring are topped with fallen leaves that will decompose and add organic matter to the soil. I have a large maple tree next to my garden, so the leaves inevitably accumulate there. It’s easier to let them be. Add compost – I also add compost to the empty spots, but this year after replacing the old unit, new compost isn’t quite ready. I’ll have to make do with leaves for now. Save seeds – I haven’t gotten around to this yet, but it’s another vital cleanup task. It’s also something I’m still learning and experimenting with. Store things away – I put away any delicate pots and other garden decorations to keep them safe during the winter and prevent damage. There’s no need to pull frost-hardy vegetables. Carrots, beets, and kale, for instance, are all happy snuggling in the cooler dirt. With fall arriving, it becomes a bit harder to gauge what your remaining plants might need to survive. As the weather cools, I often completely forget that it’s still necessary to water the garden. But, your fall crops still need to drink. Veggies still need to be harvested, mulch may be required with drier periods, and you’ll still need to keep an eye out for pests and scavengers. My gardening activities naturally wind down as autumn arrives, but it’s critical to avoid letting everything go wild. Taking care now will prevent weeds from taking up root in the spring, and pests from popping up when the sun shines bright again next year.